Accredited by the Sensitive Choice® - National Asthma Council Australia. 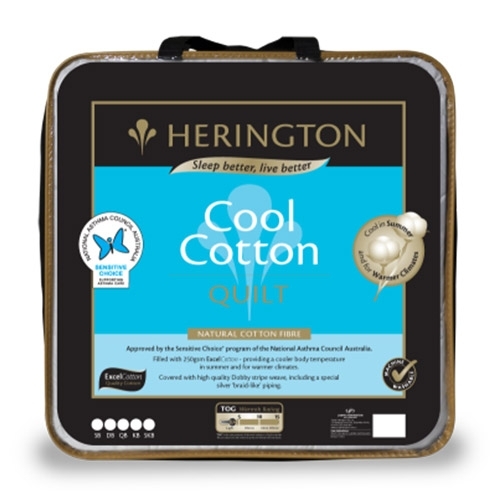 This beautiful quilt offers the luxury of breathable and non-allergenic cotton. Approved by the Sensitive Choice® program of the National Asthma Council Australia. Filled with of ExcelCotton - providing a cooler body temperature in summer and for warmer climates. Covered with high quality Dobby stripe weave, including a special silver ‘braid-like’ piping.